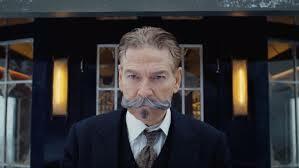 Oh my gosh, Kenneth Branagh’s moustache. The upper lip accessory is a man-made beast that dominates his face. It’s ridiculous, hideous and an exquisite thing of beauty. As famed detective Hercule Poirot, he speaks with the utmost authority — and I couldn’t concentrate on a word the man was saying because I was so fixated on the decor. How long did it take for him to grow it? Did it get itchy? Did it pay rent? 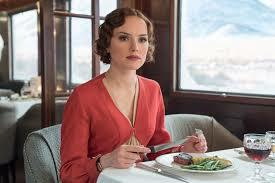 This isn’t the main issue with Murder on the Orient Express, of course. But the film is a stylish star-studded mystery. The first takeaway shouldn’t be facial hair. 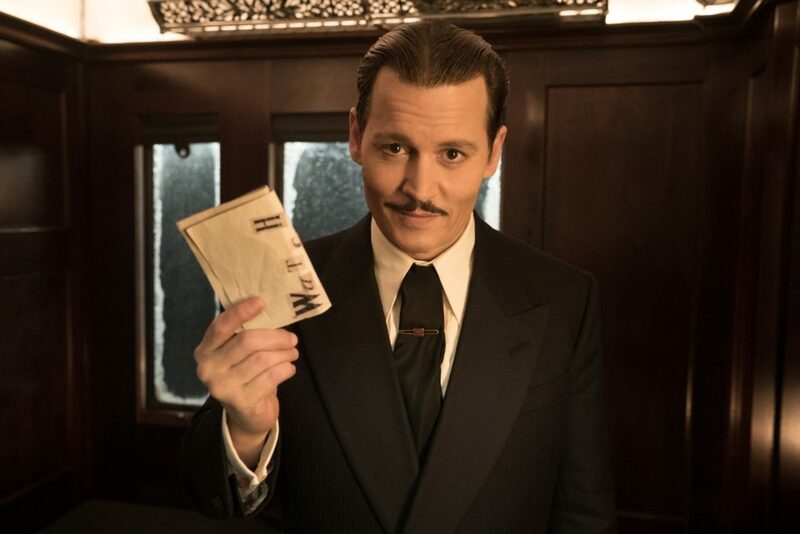 Murder on the Orient Express, based on Agatha Christie’s 1934 classic novel, has endured for generations for a good reason. The premise is tantalizingly simple: Fifteen passengers from all corners of the world — including the self-proclaimed greatest detective of all time and persnickety hero of dozens of Christie books — have boarded a train in Istanbul. Come morning, one will be found dead. All of suspects. And the eccentric Belgian super-sleuth Poirot uses seemingly benign clues such as dialect and last names to piece it all together. Branagh, who also directed, doesn’t take many liberties in his adaptation aside from subtle character changes. The locomotive itself gets derailed because of a blizzard; the movie just chugs along with precious few exciting bells and whistles. You can skip this stop on the busy fall movie season. Full disclosure: I recently interviewed many of the castmembers for a Parade cover story, so I won’t delve into specific performances. It’s a grey area. Obviously the star quotient is high. Ready for the lineup? (Deep breath) Johnny Depp is the shady American businessman named Mr. Ratchett. Michelle Pfeiffer is the rich American widow. Judi Dench is the Russian princess. Olivia Colman is her handmaiden. Penelope Cruz is the religious caretaker. Daisy Ridley is the governess. Josh Gad is the assistant to the businessman. Derek Jacobi is the businessman’s assistant; Willem Dafoe is the professor; Leslie Odom Jr. is the physician. I think I’m leaving out a few people. Everyone looks fabulous in 70-mm film. Between this and the (ahem) underwatched Mother!, the Pfeiffer renaissance is in full swing. Or is it pfull swing. I pfully support this. She’s divine. The whodunit who’s-who is ultimately a mixed blessing. Part of the fun of the movie is watching this masterful cast in a confined space for long periods of time. Come for the story, stay to find Olaf mixing it up with Captain Jack Sparrow and Catwoman. Rey and Aaron Burr are traveling together. And so on. The overcrowding comes at a price. Oscar winners Dench and Cruz haven nothing to do other than answer Poirot’s questions, while other characters barely register at all. (A man named Marquez immediately comes under suspicion because he’s Hispanic, yet I think he has five minutes of total screen time.) I wish Branagh had cut a few minor players out of the ensemble. Only Christie purists would have cried foul on getting rid of the count and countess. And Christie purists seem like a dignified, reserved bunch. The train itself is just as impressive as the cast. The camera swoops in all directions in each corner of the locomotive. I particularly liked the way Branagh walks the audience through each car just before the “all aboard” as a way to introduce the future suspects. Smart decision for him to keep the story in the 1930s as well. There’s something glamorous about traveling via train during this period, and he captures it. It’s a time when gleaming white cloth napkins in the dining car are a big deal. Nobody tuned out the world with ear buds. (I can already hear the Millennials plunking down a credit card to buy more tickets to Thor: Rangarok.) I suppose the director really didn’t have a choice: For all the complexities in Christie’s tale, this mystery could have been solved in two minutes in 2017 if anyone on board had halfway decent Wi-Fi. I won’t reveal which character has blood on his or her hands. Even if you know nothing about the outcome, the would-be shocking reveal won’t stir the heart or quicken the pulse as much as it should. There’s a stuffiness to the proceedings — possibly because Poirot and the ‘stache unravel the mystery with such emotionless precision then moves on to the next investigation. This is just another day in the office for him. The dazzling cast is all dressed up, all right. And they have no place to go. Copyright (c) 2017 Mara Reinstein All Rights Reserved.